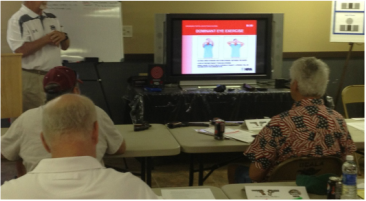 Classes are limited in size to allow for a high degree of personal instruction provided, particularly at the range. After you enroll in the class, please come back to this page and print and sign the below instructor release form if you have not done so already. Bring it with you to the class. Additionally, you will need to complete the R/D Tactical Solutions Release form. It looks like you are applying to join the range as a member, but you are not, it's just their lengthy liability release form. Since R/D changes the release form frequently, a copy will be provided to you when you arrive at the class. Membership is required. Please join the Villages Straight Shooters Club prior to making your reservation. Click HERE. The cost is $20 for 12 months. There are NO prerequisites for this class. Fees for our class are well below other comparable classes in the market. 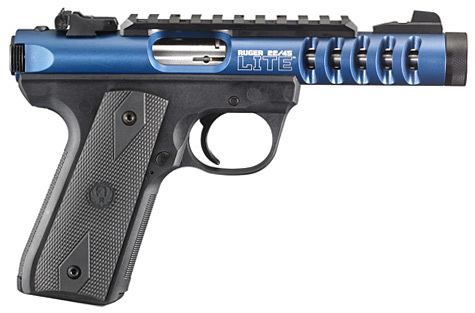 Our fees are $89 for Fees cover all classroom and range expenses including the Ruger .22 pistol and ammo. There are no other charges! ﻿PRIOR TO CLICKING THE "ENROLL" BUTTON, YOU MUST FIRST PRINT OUT AND COMPLETE THE INSTRUCTOR RELEASE. THE COMPLETED RELEASE MUST BE PRESENTED UPON ARRIVAL. When registering you must use your legal name as reflected on your driver's license! If you have enrolled in a class and must cancel for any reason, please notify us through the "Contact Us" form HERE. According to our Terms and Conditions, a refund will be issued to you by the club if you cancel two weeks prior to the class or, inside the two weeks, if we are able to fill your seat with another enrollee. The Villages Straight Shooters Basic Pistol Classes are approximately 8 hours of classroom work including 1 hour of range time. Review the detailed class curriculum HERE. 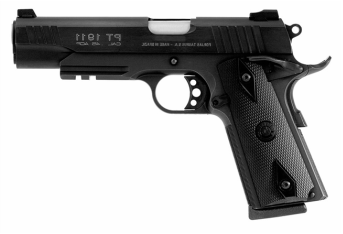 Classes will run from 9:00 am to 5pm including 1 hour of supervised range time. Completion Certificates will be awarded as appropriate at the conclusion of the class. Completion of this class will fulfill the education requirements necessary to apply for a Concealed Weapons and Firearm License (CWFL) in the state of Florida. You do not need to be a full time resident of Florida to apply for a Florida CWFL. Classes are held at the R/D Tactical Solutions facility located at 1031 NE 16th St, Ocala, FL 34470. This location is reasonably convenient to the Villages and offers a nice classroom and range in the same building. Go HERE for directions. If you have any questions about the class not answered above, please contact either Jim Schiefer by EMAIL or at 912-996-5050 or Terry Marksberry by EMAIL or at 352-360-5666.